Can you believe that it is already October? Sure, Pumpkin Spice Lattes have been out for a while now, but Halloween is only a few weeks away, and we all know how quickly Thanksgiving and Christmas comes after that. Most of us won’t even have the Christmas decorations down before it is time for the 2015 R&R Retreat to begin! In order to properly prepare for the R&R Retreat 2015, we ask that all participants register beforehand. Registration will open on Sunday, October 12th, 2014 and will end on December 31st, 2014. 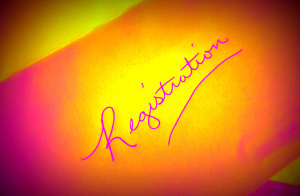 Please check out the Registration page for more information on how to register.